Bolton Associates are recruiting for one of the most successful and well-respected Lloyd's Insurers, on a sole agency basis, as they look to recruit for a Qualified Actuary to Lead their Specialty and Financial Lines product team. Managing a team of 6, and Reporting into the Head of Pricing, you will be responsible for the Pricing, Reserving and Capital Parameterisation for all associated classes. 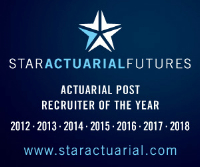 A qualified Actuary, you will already have some management experience under your belt and, ideally, you will possess both reserving and pricing experience gained from the London/Lloyd's Market. However, candidates with expertise in only one of these areas will also be considered should all other skills be present. Embedded with the underwriters, it is imperative that you have top notch communication skills with the ability to influence and gain buy in from the underwriters almost immediately. An excellent opportunity for an ambitious candidate keen to take that next step in their career.